First Environmental offers additional waste management and sealed gate roll off services as part of our industrial cleaning capabilities. We will meet your industrial cleaning needs and then dispose of any waste or excess material from the job, for you. We will also assist in filling out any and all documents required when profiling the waste and delivering the waste to any approved EPA waste disposal facility. All waste that we handle is considered special waste and we provide transportation and disposal services for both hazardous and non-hazardous waste. We also provide roll off dumpsters for clients and we will pick up the dumpster when you are ready for it to go. 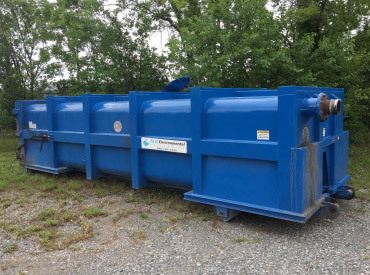 Our waste management and roll off services are a part of the full package that makes us the most desired industrial cleaning contractor in the southeast.